Wealth: 5. Disproportionately high for their small size, even with much of it being funneled into Sunsreach's guards. House Durante is a small house that is strongly associated with House Tracano. They are the Lords of the City of Sunsreach, managing it in the name of their Tracano lieges. When Baron (Admiral) Travian Tracano set to unifying the Colony of Sunsreach and its' surrounding provinces in the hopes of establishing his own kingdom, one of the first obstacles he faced was gathering support. While Travian had the command of those naval forces that had stayed behind when the Empire retreated, the ground forces were another matter entirely. While Travian had a potent personal guard under the command of Sir Daved Cassomir, the bulk of the forces that occupied the main port of the Colony fell under the command of one Sir Adam Durante. Sir Adam was a stern, no-nonsense individual who had a reputation as a solid commander and an excellent trainer of forces. He had found the climate of his posting to Sunsreach agreeable, and so had been among those that had chosen to remain in Sunsreach when the Empire retreated. The bulk of his men, loyal to their steadfast commander, had remained. While nominally Sir Adam was sworn to obey the Baron, Travian wanted to be assured of the man's loyalty. Ever the adept politician, Admiral Travian approached Sir Adam with a deal: In return for holding Sunsreach in his name, and managing the city under his command, Travian would grant Sir Adam noble title, naming him and his heirs Lords of Sunsreach from that day forward. In one of the last bits of correspondence between the Empire and the Old Colony, Admiral Travian received permission from the Empire (who at that point really didn't care all that much) to elevate Sir Adam to the nobility. With Sir Adam's loyalty secured, and a potent garrison force now in place to protect the heart of his soon-to-be Kingdom, Travian was able to turn his thoughts to expansion. Those troops that fell under Adam's command became the first generation of the Tracano House Guard, who would go on to become one of the most well-respected garrison forces in the Edge. Every succeeding generation of that House Guard would see a Durante in command, and Durante sons would ever make up the bulk of their officers. Sir Adam's training methods would spread across the whole of the Creation's Edge as the decades passed, becoming something of "standard learning" for military commanders of all stripes. The Lords of House Durante have faithfully served the Tracanos ever since, managing the day-to-day affairs of the city of Sunsreach in their name, and providing stalwart defense of those grounds in their name. While they have served courageously and well on those rare occasions that Sunsreach was attacked, and while several of their sons have been skilled enough to gain entry into the Royal Lancers, few have distinguished themselves so greatly as individuals as to emblazon their names in the history books. The one possible exception to this has emerged comparatively recently in the form of Sir Raymund Durante. Sir Raymund Durante was a highly-regarded veteran of the Thirty Years' War, who had acquitted himself with distinction in countless battles and was generally considered among the most battle-hardened knights in Rivana. As a Royal Lancer and commander of the Tracano House Guard, Sir Raymund found himself in an unenviable position when the Succession War broke out, and ultimately chose to use his potent reputation and influence to convince his nephew (who was the Lord of House Durante) to declare Sunsreach neutral ground in the conflict, and bar it from the combatants until they had battled it out. It was a dangerous gamble with the family's reputation and even their position, but in the end, the Durante nobles came to the unanimous decision that they would not allow Sunsreach to become a battleground, and would preserve it for whoever proved the victor in the Succession War. While privately most of the Durantes felt that Lord Arturo had the stronger claim and would make the better ruler, they held fast to their declaration of neutrality, allowing neither claimant access to the capitol, and the wealth and sense of legitimacy that holding the seat of House Tracano would provide. Sir Raymund's neutrality extended to much of the Royal Navy, as well, and between that and the support of the also-neutral House Gerrell in the north of Rivana, the Durantes and Sunsreach made it through the Succession War almost entirely unscathed. A few feeble attempts at siege were mounted, but none truly materialized. More damaging were the occasional Brodlund raids, but even these were fended off with relatively little damage. When Queen Alysande ascended to the throne of Rivana in 1863 IE, she inherited a Sunsreach that was whole and healthy, making the early portion of her reign run far more smoothly than it otherwise might. Queen Alysande granted pre-emptive pardons to Sir Raymund and the rest of House Durante upon being crowned. Sir Raymund, however, stepped down as commander of the Tracano House Guard. It is hotly debated in some circles as to whether the Queen forced him to do so or if, as he steadfastly claims, "it was simply the right time." He now serves as advisor to the current Lord of House Durante, while leaving the Tracano House Guard in the capable hands of a younger relative. Much like the city they so love and maintain, the Durantes have survived the turmoil of Rivana whole and healthy, and look forward to a bright future in service to the Rose Queen. Cities and Towns: House Durante manages the day-to-day affairs of the City of Sunsreach in the name of House Tracano. They have no other holdings. See House Tracano for more information. 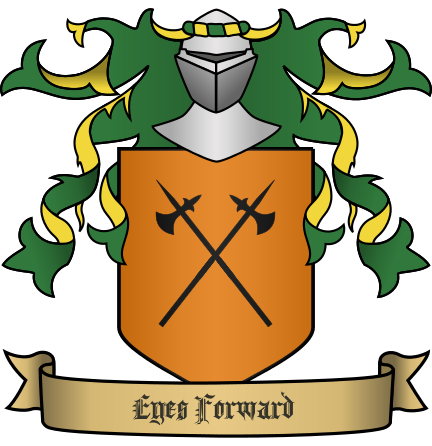 Fortifications: Everwatch Hall is the seat of House Durante is a well-fortified baronial castle situated on the east bank of the [river]. However most of the main branch lives in their manor in the Sunsreach while cadet members of the family occupy several other manors spread about the city. House Durante has several landed Knights that occupy manors spread throughout Sunsreach, but no Houses that are in vassalage to it. Knights: House Durante fields a company of well-trained Heavy Cavalry. Though they are usually kept near Sunsreach and rarely see open battle, they have generally performed well when engaged. It is far from unheard of for Durante Knights to join the Rivanan Royal Lancers, though it is not so common as with House Cassomir. Tracano House Guard: If House Cassomir is synonymous with House Tracano's Royal Lancers, then House Durante is synonymous with the Tracano House Guard, having largely led and managed that organization for their entire existence. Many sons of House Durante have served as the high-ranking officers and commanders of the Guard, and the common folk that make up most of its' ranks are by and large subjects of House Durante. Much of the House Guard's diligence and effectiveness can be attributed to the influence of House Durante. The House Guard has many skilled spearmen, crossbowmen, and swordsman in its' employ. The Tracano House Guard is usually commanded by a veteran Knight of House Durante, though usually NOT the head of the household. Well-Equipped: House Durante's disproportionately high wealth and ready access to goods via Sunsreach's markets means that their military forces tend to be very well-equipped, oft carrying weapons and armor of good quality and always in good repair. Several units are not at full strength due to the house only recently becoming a barony and losses taken during the battle of the Sunsreach and the exacting manner at which they select and train troops. 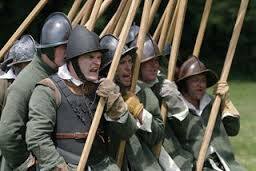 As well despite being a wealthy and military minded house they only have a standard number of troops for a barony due to their approach of quality over quantity and the resources poured into the Tracano House Guard. Bankers: House Durante runs the largest (and oldest) Bank in Rivana, located in the City of Sunsreach. Their security is excellent and their reputation for trustworthiness and efficiency is well-earned. During the Succession War, the Durante were able to expand their banking operations to Pacitta through reconciliation with an exiled branch of the family, and the head of that branch, now sits on the High Council. Despite this, the Durante are careful to keep Pacittan banking interests into Sunsreach securing their monopoly. Baron Darmond Durante – Born 1830. First Baron Durante, supported his great-uncle Raymund in his continued neutrality. Baroness Brenna Durante (nee Howlett) – Born 1833. The daughter of the wealthy Baron Howlett, wed to Darmond to help unite the neutral factions of the Succession War. Mother of four children born 1854, 1856, 1859 and 1860. Alicia Toraz – Born 1818. One of the last surviving members of House Toraz of Riverwatch. Her husband Elden Toraz (nee Durante) was the son of Raymund Durante and one of Anton Tracano’s Royal Lancers. He was killed at the Battle of the Ascendant Rose by Sir Dixon Rosendal. Alicia has been granted shelter by the Durante as has her son Elden. Elden Toraz (II) – Born 1840. Son of Elden Toraz (nee Durante) and Alicia Toraz. Second cousin of Baron Darmond, grandson of Raymund Durante. The Children of Sera Durante and Jasper Durante (nee Chavez) – Two surviving children of Sera and Jasper Durante and grandchildren of Raymund Durante. The eldest child born child Edlyn was killed along with his mother in a fire set by Thorn Partisans in 1856. The two remaining children were born in 1846 and 1850 respectively. Jasper Durante was killed in 1850 during the end of the Thirty Years War. Raymund Durante – 1796-1866. Called ‘Old Sir Ray’ a knight of many accomplishments, was Royal Lancer for King’s Stephan and King Lucas, Commanded the Tracano House Guard for King Lucas, trained Sir Jaren Cassomir and was the Captain of the Lances until his death in 1866. Though Old Sir Ray is best known for declaring the neutrality of Sunsreach during the Succession War denying the city to both the Rose and the Thorn until the succession had been figured out. Lady Arella Durante – 1810-1856. Head of the house during much of the Succession War. who supported Sir Raymund in declaring the neutrality of Sunsreach and the whole of House Durante. Died in a shipwreck returning to Sunsreach from Pacitta in 1856. Peter Durante (nee Farrant) – 1895-1851. King Lucas’ spymaster who died in a faegate accident. Dalton Durante was exiled in 1818 for speaking out against the start of the war with Couviere. He and some members of his family took refuge in Sanctum before moving to Pacitta after its founding in 1844 and make up the Pacittan branch of the family. The Pacittan Durantes reunited with their Rivanan kin in 1855, and the family once again operates as a whole. However the Pacittan branch is given a good deal of autonomy and often sees themselves as Pacittan rather than Rivanan. Leo Durante 1836 m. Clarice Durante (nee Brega) 1838-1856, died in a fire set by Thorn Partisans. Mariah Tracano (nee Durante) 1831 m. Gavin Tracano 18??-18?? Dalton Durante 1760-1830, exiled for opposing the Thirty Years War m. Elise Durante (nee Bellmonte) 1762-1848, joined her husband in Exile. Ilonna Durante 1828, current head of the Durante family in Pacitta. An old maid said to be married to money. Members of House Aldana: After House Aldana's fall in the Succession War the Durante took them in and when the Durantes were made barons, the Aldana were given a small manor in the Durante's expanded lands. Doran Aldana - 1823 - Cousin of the mainline. A knight of some experience. Elmer Aldana - 1843 'Heir to Aldana' a man driven mad by his losses. The Children of Ramiro Aldana - 1842, 1845, 1851 - Wards and vassals of the Durante, first cousins to Elmer. Forward-Thinking - Durantes tend to take the long view of things. They are excellent at generally predicting the long-term consequences of their actions (and occasionally the actions of others). Sensible - Durantes often do not worry about glory and accolades over just getting the job done as efficiently as possible within the bounds of honor. Stern - Durantes usually have high expectations of themselves and others, and are not shy about expressing their displeasure when those expectations are not met. It makes them excellent teachers and trainers, but a bit overbearing at times in normal social situations. Head for Numbers - Folk of House Durante often are skilled in matters of mathematics and accounting, particularly those that have had involvement in their banking interests. Well-Connected - With their seat in Sunsreach and their extensive Banking interests, House Durante has direct ties to many of the most powerful people in Rivana, not least of which being the Queen. They also have links to various mercantile interests in Pacitta. Religion: House Durante is entirely comprised of reasonably staunch followers of the One Faith. Inheritance: The Eldest Child generally inherits, though occasional exceptions have been made in the case of unfit heirs. Gender is no bar to inheritance. Nobles: Nobles of House Durante tend to be unassuming and humble, taking pride in the fulfillment of duty above all else. Martial pursuits are encouraged for men, and extensive training in economics, trade, and stewardship for women. They generally tend to be polite, with a warm sense of humor, though they can easily shift to "all business" when it is required and are known to be strict disciplinarians who are fond of very difficult (but not outright brutal) training methods. Business always comes before pleasure, but that doesn't mean they don't enjoy their leisure. They tend to be reasonably well-regarded by their fellow nobles. Commoners: Being responsible for the population of Sunsreach, House Durante's commoners are a diverse and eclectic bunch. Those that work more closely with House Durante tend to be members of the City Watch or Tracano House Guard, or Hedge Knights in their Heavy Cavalry company. Bankers are also understandably common. The Durantes "rule" with a very light touch, as in every way that matters it is still the Tracanos who rule Sunsreach, and the Durantes simply "manage" it for them. Lord (Sir) Adam Durante, the Instructor: The founder of House Durante (insofar as its' noble roots), Lord Adam was a knight with a tremendous genius for instruction and training. His "Manual of Arms" and "Codex of Maneuvers" are still among the most-copied and most-read books on the training of soldiers and armies in Creation's Edge, and many of their principles are still in heavy use today (not least of which among House Durante itself). Any commander worth their salt has read both of them and likely committed much of it to memory. It is from Lord Adam that the Durantes garnered their reputation as some of the most strict and effective military instructors in Rivana (if not the Edge), a reputation they continue to uphold today. Unstoried: While Old Sir Ray's decision to bar Sunsreach to the Rose and the Thorn may one day become legend, outside of Lord Adam, House Durante is rather non-storied. They are about getting the job done with little fuss, and while they are well-regarded for competence and discipline their particular brand of such attributes does not often make for glorious tales. The Heart of Sunsreach: House Durante is much-beloved by the people of Sunsreach, and while many outside the City tend to dismiss the Durantes in favor of their more glamorous and powerful Tracano lieges, but their quiet, competent management of the City has earned them many friends within. Old Sir Ray's defense of the City during the Succession War only served to intensify this feeling in the local populace, which has led to the interesting counterpoint of House Durante generally being well-regarded for their decision to remain neutral while House Gerrell is looked upon with a degree of mistrust. The city's love of the Durante has only increased since the Battle of Sunsreach, where the Durante kept the Gerrell and Thorn troops penned up in the palace protecting the city from their attack. Old Blood: Despite being a recently elevated Barony and a small family, the Durantes are given great respect and honor as the first recognized noble family of Rivana outside the Tracanos. Dedicated and Humble: Generally members of House Durante are among the most genuinely humble of nobles, but then again you'd have to be when the Royal Family lives in your backyard. Members of House Durante tend to be unassuming and well-disciplined, as well as courteous, but none of these things to the point where they seem like doormats. They are more than willing to show a little fire when they must, but generally leave the glory and dramatics to others. They want to get the job done, and work tirelessly to do so whether accolades come or not. Stern Taskmasters: House Durante is renowned for having some of the most strict yet effective training methods in Rivana when it comes to "toughening up" prospective young knights and soldiers. Many Houses in the Edge send some of their young would-be-warriors to House Durante for a few months of "seasoning" and many of the training methods other houses use are derived from techniques and practices originating with House Durante. Squiring with a Durante Knight is generally seen as a difficult but rewarding route for any prospective Knight, and given the small size of the House, there are limited opportunities for such teachers available, making them highly-demanded (particularly their noble Knights). Julliet - The Succession War begins and House Haldis sides with their kinsman Anton Tracano against his cousin against Arturo Tracano for the Throne of Rivana. At the urging of Sir Raymund Durante house Durante chooses to declare itself neutral and eject both sides from the capital of Sunsreach. Following this they forge alliances with House Aldana, House Chavez and the duchy of Normont who also declared themselves neutral in the conflict and together with House Aldana secure the township of Goldhollow. Octobre - Lady Arella Durante begins securing diplomatic and trade ties for her house with Pacitta and Venderos to support her house through the war. Fevrier - The forces of Anton Tracano wipe out House Chavez and march on Sunsreach. Anton himself joins the siege but he is unable to get Sir Raymund to surrender the city and is ultimately forced to withdraw when a force from Ironhold marches on the city. The Cassomir lead force is also turned away from the city after a meeting between Baron Aric Cassomir and Sir Raymund Durante. Juliet - Lady Arella Durante marries her son and heir Darmond to Brenna Howlett. The match tightens the ties between the neutral side of the war, but also aligns two of the richest mid-level houses in Rivana. Marse - Anton's forces under his brother Viscount Davin Tracano attack Goldhollow. They are repelled by a joint effort of the Durante and Aldana but the attack allows the Alphard Haldis to attack and destroy Saltspire the home of the Aldana. The Neutral houses are forced to abandon Goldhollow but they take the city's wealth with them locking it away in Sunsreach palace. Alout - Lady Arella Durante dies in a shipwreck while on a trade and diplomatic mission to Pacitta. He twenty year old son Darmond Durante becomes the new lord of house Durante, though he is in the shadow of his great-uncle Raymund who most view as the man who is really directing the house. Novembre - Partisans loyal to Anton set fires in the city killing several including Sera Durrante and her eldest son Eldyn. The partisans are found and executed swiftly. The attacks were meant to be coordinated with a new attempt to take the city but the troops were delayed by an ambush launched by Arturo's forces and ultimately break off the attack. Decembre - Arturo sends Aric Cassomir to treat with the Durrante to get them to switch sides in the wake of the attacks. The Durante hold firm to their neutrality and begin securing the walls with weapons from Venderos. Mai - Arturo is killed at the Battle of the Rose and Thorn. Anton sends troops to treat with the Durante declaring himself the winner. The Durante refuse and share the news that Alysande has been 'crowned' by her father's supporters as their new queen. Juin - A new attempt is made to seize the city led by Elden Torez (nee Durante) the son of Sir Raymund. Father and son meet in battle and Elden is defeated but allowed to leave with the defeated Thorns. Septembre - Battle of the Rose Ascendant: The Haldis switch sides and turn the war in the favor of Alysande. The Durante stay neutral and in the relative peace that follows re-extend their influence over the area around the capital, including Goldhollow. They repel attacks by the remaining Thorn (Anton) supporters denying them vital supplies. Marse - Avril - Ironhold is invaded by the remaining Thorns. Coming to the aid of the Cassomirs is hotly debated but ultimately the Durantes do not take part in the fighting. Following the destruction of the castle, some medical aid and supplies do 'go missing' and through the Moreno make it to the Cassomirs. Marse - Duke Darren Haldis along with Jaren Cassomir capture Anton Tracano. He is executed seven days later. Avril - The Durante surrender the keys of the city to Alysande and open the gates to her forces. She is welcomed to the city with fanfare and the Durante are pardoned following her coronation. Raymund Durante, the leader of the neutrality movement resigns from his post as the Commander of the House Guard. Mai - The defunct county of Northmarch is given over to the Cassomirs and re-named Ironhold, the Durante are elevated to baronial status to fill their spot and are given expanded lands around Sunsreach taken chiefly from Thorn supporters. She also names Raymund Durante as her Captain of Lances, and less than a day later he foils a plot by Thorn rebels to take her life. Decembre - Duchess Alyanna and Duke Ranulf Gerrells of Normont launch a surprise attack on Sunsreach and are able to seize the palace relatively unopposed. The Durante weather the attack and enter into a stalemate with the Gerrells with the Durante holding holding the city, but they are unable to storm the palace with the Queen as their captive. Sir Raymund is able to escape and alert the Loyalist armies in the field at the cost of his own life. Janvier - The Battle of Sunsreach. Signaled by the Loyalists prior to their attack the Durante launch an attack on the siege lines around Everwatch Hall to distract the Gerrell forces which allows the Huntress to open the city gates and the Loyalists to storm the city. *Janvier - Juin - The Durante take part in the repairing the damage from the battle and assist the Queen in the running of the city while others go north to fight the Tirians with army. Tracano : They are whole again, but at great cost. Choosing to deny them was a decision made at great pain and difficulty, but our City is whole where otherwise it might not be. The Queen was very merciful in her judgment of us after the war, and we now serve her as faithfully as we did her ancestors. Gerrell : They stood beside us during the Succession War, if for different reasons. Still, we owe them our gratitude for the support they provided and should they need it, we will return the favor. Haldis : Their willingness to turn against their oaths is troubling, but we did not fight them often during the Succession War, so we bear them no true ill will. Hopefully the same can be said of them. Greycen : They were even more fervent than House Haldis in trying to break our resolve during the Succession War, but we stood strong, and they did not press overly much. Hopefully no lasting harm has been done to the relations between our houses. Cassomir : Their ruling family carries our blood on their mother's side. Their Viscount was trained by one of our own. They have shown us respect and cordiality since the end of the Succession, and the bonds between our houses remain strong, as they ever have been. They may usually garner more glory than we, but they never fail to acknowledge our contributions nor take us for granted.